Celebrated by writers from Petrarch to Peter Mayle, Provence's rugged mountains, wild maquis and lavender-filled meadows are world-famous. Historic cities like Arles, Avignon and Aix contain Roman amphitheatres, papal palaces and royal residences, while market towns and picturesque villages maintain age-old traditions of wine producing and agriculture. From the highland towns of Digne and Sisteron to the marshy expanse of the Camargue, Provence encompasses a rich variety of landscapes. Martin Garrett explores a region littered with ancient monuments and medieval castles. Looking at the vibrant dockside ambiance of Marseille and the luminous atmosphere of the Luberon, he considers how writers like Mistral and Daudet have captured the character of a place and its people. 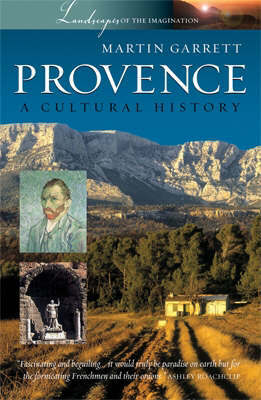 He traces the development of Provence as a Roman outpost, medieval kingdom and modern region of France, revealing through its landmarks the people and events that have shaped its often tumultuous history. Through its architecture, literature and popular culture, this book analyzes and celebrates the identity of a region famous for its pastis and petanque. Linking the past to the present, it also evokes the intense light and sun-baked stones that have attracted generations of painters and writers. Land Of Emperors And Popes: Roman temples and theatres; the Palace of the Popes; the Kings of Provence; troubadours, gypsies and bullfights. Land Of Painters And Poets: Petrarch and Avignon; Daudet's windmill; Mistral and Provencal culture; Van Gogh and Cezanne, artists of light and darkness. Land Of Mountains And Water: Ventoux and the Montagne St. Victoire; the mighty Rhone; Marseille and the Mediterranean.